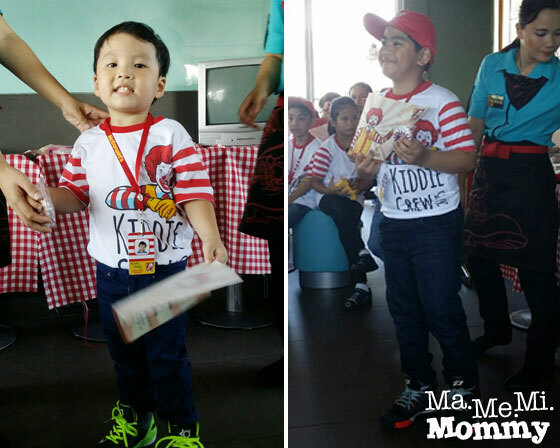 To cap off their 5-day workshop, the McDo Kiddie Crew had their graduation on the last day. It was a short ceremony where all the kids from different schedules for that week all gathered to perform some dance and song numbers. It was slated at 1PM. The party area was packed by the time we got there. There were around 25 kids in all. When all the kids were complete (there was actually one missing and later turned up when the whole thing was over because they thought it’s the regular schedule, awww…), the workshop teachers got the ball rolling. The 9-11AM (ahem ahem!) batch kickstarted the program with their dance number of Taylor Swift’s Shake it Off. 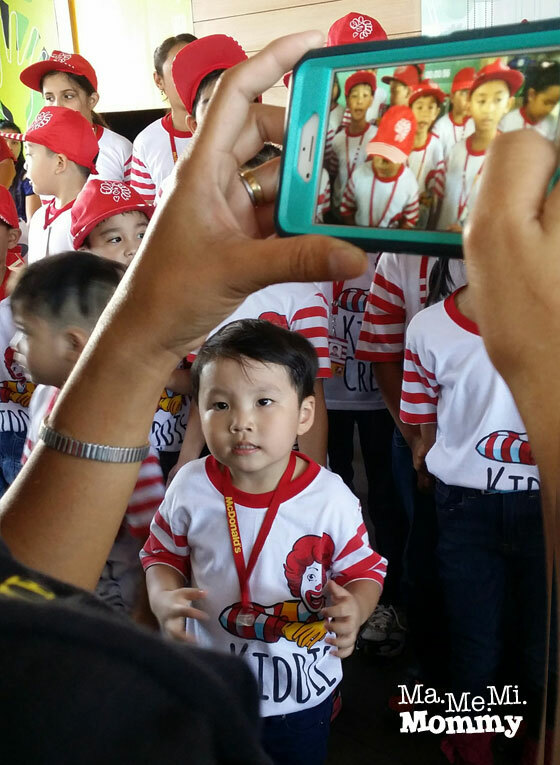 After the dance numbers, all the kids gathered together to sing the official Kiddie Crew song, Make It Happen. DA was not familiar with the lyrics of the song so I just told him to smile and wave to the people. Haha. As they danced and sang, the parents got busy with their smartphones and tablets to capture everything. After their performances, the teachers then gave out the certificates to the children. Here’s a closeup of the badges. Really cool! They performed one last dance number, Do the Ronald Dance, before food was served, capping off the event. Aww, we’re surely going to miss going to McDo for this workshop. While it may be targeted to the older kids (6-12), it’s a really nice exposure even to the younger ones. Apart from doing artworks and learning dance moves, they got to see different people everyday. Even if they’re too shy to talk or too small to see, a simple high five or a wave of hello goes a long way in boosting their confidence in meeting new people. Apart from that is the invaluable lesson that in life, it’s not all fun and play. It’s also about working hard, about cleaning up after ourselves, and about being courteous and polite. I am so glad to have had the chance to let DA join this. We’re sure to do this again in the coming years. 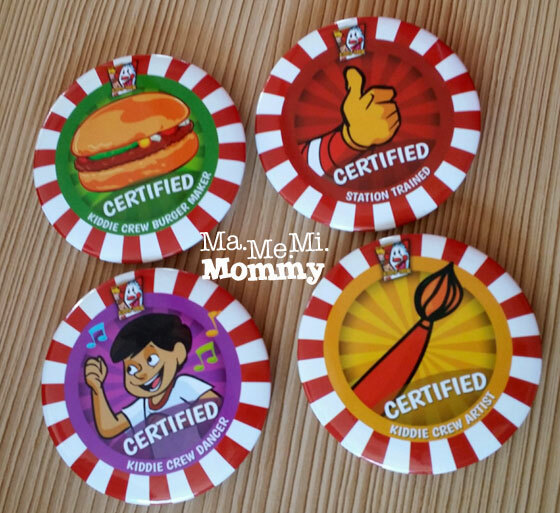 Thank you to all the staff at McDonald’s Frontera Verde for taking care of the kids and patiently teaching them the ins and outs of being a certified Kiddie Crew. Cute! Is he the youngest? So cute! i liked seeing kids as they make the rounds of mcdonald’s tables or greeting each customer and welcoming them to the fast food. Such a cutie, it’s a nice feeling when your kids enjoy the workshops that we let them join. Specially when these kids take your orders. They are really overloaded with cuteness. I would love for my eldest to try this. I want her to learn from the hard work park since she is very friendly naman. 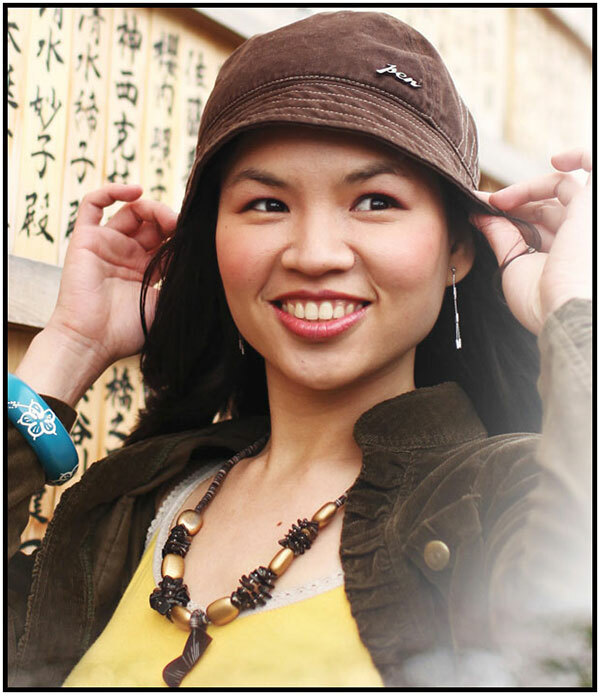 ceemee recently posted…Resurrect with Jesus on Easter, Cymplified! This kind of summer activity for kids are very educational as well as a fun way for children to spend their vacation. It looks like he really loves those badges, haha. So cute and he seems so bibo. 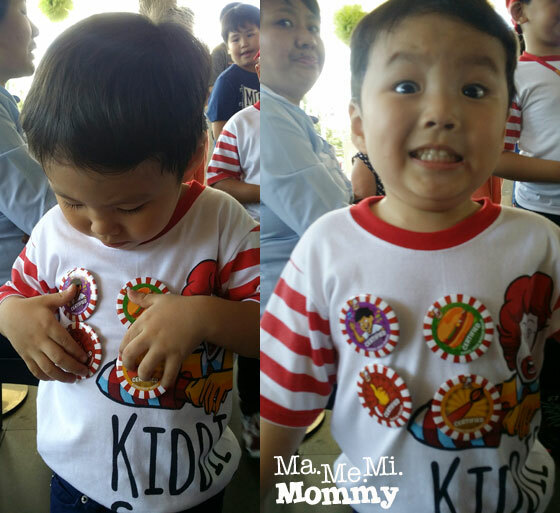 I can’t decide which is the cutest: the badges, the choice of “graduation” song, or your son! So adorable! Congratulations! Awww…It was such an achievement for them! 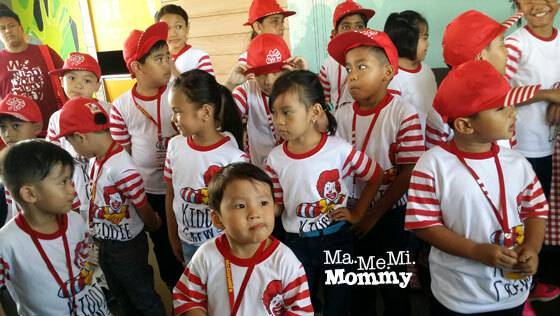 I always always planned to enroll my kids at the Mc Donalds kiddie crew kaya lang there is always something that comes along the way. It was a very good experience for them sana to value “work” and also the opportunity to meet other kids and gain friends. Good Job Mommy! Cuties! I hope we can join next summer! Ang saya nila and ang cute pa! Would probably consider letting my daughter join their kiddie crew when she gets older. Hehe. Do you have the MP3 version of the “do the Ronald” dance song? Need it for a wedding entrance! Thanks!